Cambodian Communities out of Crisis (CCC) is a British organisation founded in 1994, which became established as a registered charity (number 1062205) in 1997. Its affairs are directed by a Council, consisting of trustees and ordinary members. Council members are listed in our annual report. 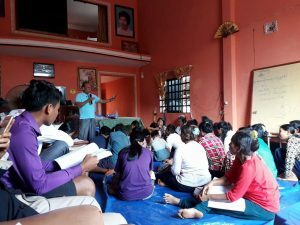 CCC is a Christian organisation, seeking to support the growing Christian church in Cambodia, but also aiming to provide humanitarian assistance to people of all religions in that country. We want to act as a channel for the love of Jesus Christ for the people of Cambodia. We seek "to prepare God's people for works of service, so that the body of Christ may be built up" (Ephesians 4: 12 in the Bible). We want to help bring about a transformation in Cambodia summed up by CCC's motto: From Killing Fields to Living Fields. 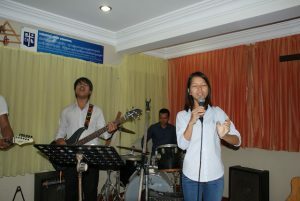 We see a flourishing, mature, autonomous, united Christian Church functioning throughout Cambodia. We see a reduction in poverty and sickness and steadily improving standards of education amongst all sectors of the Cambodian population. We aim to provide increasing numbers of Cambodian children and young people with affordable education. We are raising funds to establish Timothy College and Business Institute. This institution will offer courses in subject areas that are appropriate to the needs of Cambodia as it develops, open to students of any religion or none, but conducted with a Christian ethos. We aim to facilitate unity and growth in the Cambodian church. We aim to support initiatives to train and equip indigenous church leaders, workers and members. 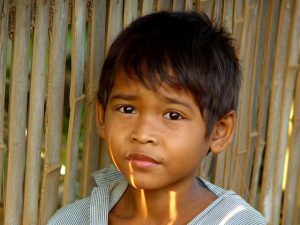 We aim relieve sickness, poverty and suffering amongst the poor in Cambodia. We respect the autonomy and integrity of the national church and function as a servant of the church. We do not wish to duplicate the work of or compete with any other development agency or Christian mission operating in Cambodia. We do not send personnel to work in Cambodia. We raise funds to provide good-quality education for those unable to afford it and to support the establishment of discipleship groups for children and young people. We provide grants to individuals, churches or indigenous organisations in Cambodia, depending on our partners in the country, both national church leaders and expatriates, to ensure that these grants are employed with integrity and accountability. As a support agency based outside Cambodia, CCC does not qualify for membership of the Evangelical Fellowship of Cambodia (EFC). However CCC supports the aims of the EFC and adheres to the EFC's Code of Conduct for Church Work in Cambodia. Why did Cambodian Communities out of Crisis (CCC) choose the motto From Killing Fields to Living Fields? The film The Killing Fields vividly portrayed what happened in Cambodia's holocaust between 1975 and 1979 when Cambodia was ruled by the Khmer Rouge. At least 1.7 million Cambodians lost their lives directly or indirectly at the hands of this genocidal regime. Many were taken out of their villages and were murdered in fields or forest, sometimes after being made to dig their own graves. 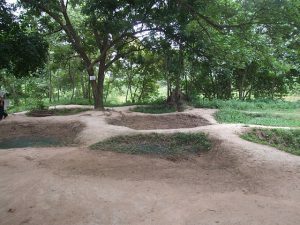 Even today human remains are being unearthed in the fields of Cambodia. Killing Fields evokes the suffering, grief and deprivation endured by the Cambodian people during and since the Khmer Rouge regime. CCC exists to restore life to Cambodia. We are active in education, helping the country on its way back to growth and prosperity. But we believe that true life for the Cambodian people, as for all other peoples, comes only through knowing Jesus Christ, who said, "I have come that they may have life, and have it to the full." For this reason we work in partnership with the Christian church in Cambodia. Living Fields affirms our confident hope that the Cambodian people can now enjoy life and peace instead of death and strife. ... churches being equipped to grow and reach out to their communities with the love of Jesus Christ. "So that the body of Christ may be built up"
As well as choosing a motto, we chose a quotation from The Bible to describe CCC's role. We want the body of Christ, that is the church, in Cambodia to be built up, becoming mature and functioning as Jesus intends it to. To this end, we aim to work in partnership with Cambodian Christian churches and organisations. Our logo consists of a dove superimposed on a map of Cambodia. The map represents the people of Cambodia and is coloured red to symbolise the blood that was shed during the Cambodian holocaust. It represents peace, which was denied to Cambodia for more than three decades. Jesus Christ, the 'Prince of Peace', is restoring peace to Cambodia through His church. The dove also represents the Holy Spirit, who is empowering the Cambodian church and transforming the lives of more and more of the Cambodian people.